Mt. 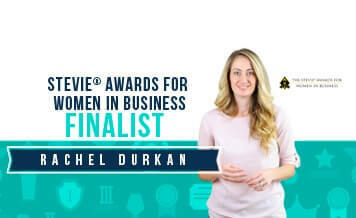 Tabor, N.J. – Paradigm Marketing & Design is pleased to announce that our founder and president, Rachel Durkan, was named a finalist in the Female Entrepreneur of the Year, Business Services, 10 or Less Employees category in the 15th Annual Stevie® Awards for Women in Business. As one of 13 nominees in the category, Durkan will learn next month whether she has been named a Gold, Silver, or Bronze Stevie Award winner. Gold, Silver and Bronze Stevie Award winners will be announced during a gala event at the Sheraton New York Times Square Hotel in New York on Friday, November 16. Nominated women executives and entrepreneurs from the U.S.A. and several other countries are expected to attend. The event will be broadcast on Livestream. Durkan founded Paradigm upon the ideals of teamwork, collaboration and success. As President, she is responsible for the development of the agency’s long-term growth strategy and works each day toward cultivating a culture of entrepreneurship and ensuring that her team is able to uphold the company’s values: taking a vested interest in client success; supporting team members in all things; and striving for excellence in everything they do. Over the last several years, Paradigm has earned several awards and distinctions, most notably the 2017 Small Business of the Year award, given by the Morris County Chamber of Commerce. 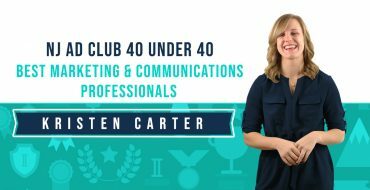 Durkan has also been recognized personally as a 2017 Tribute to Women honoree by the Boy Scouts of America; a Top 25 Leading Women Entrepreneur for 2017; and a Top 40 Under 40 Marketing/Communications Professional by the NJ Ad Club. Finalists for the 15th Annual Stevie® Awards were determined by the average scores of more than 200 business professionals around the world, working on five juries. 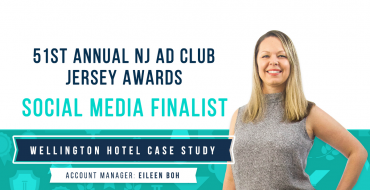 Their scores will also determine the Gold, Silver, and Bronze Stevie Award placements that will be revealed at the 15th annual awards dinner and presentations in New York.